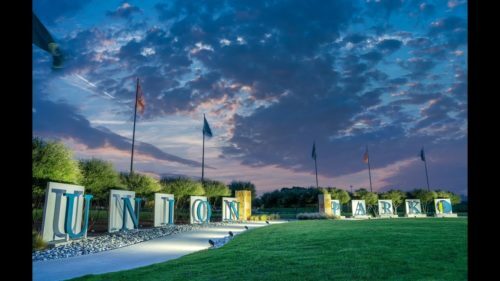 Located inside a picturesque master-planned community in Little Elm (eight miles west of Frisco), Del Webb at Union Park is the perfect place to find your next chapter. This vibrant 55+ Active Adult community features resort-style living and consumer inspired single-story homes. Relax by the pool, take a walk along the trails, or challenge your friends on the tennis courts. 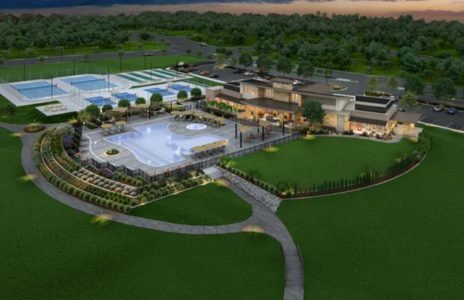 Connecting with neighbors is at the heart of the active-adult lifestyle, and Del Webb at Union Park offers an unparalleled sense of community. Meet your friends at the amenity center, offering a resort-style pool, fitness center, and more. It’s easy to find your place here. There are beautiful floor plans, of course, and the famous Del Webb quality. Experienced buyers know that getting into a Del Webb community like Union Park early in the development yields tremendous benefits when it comes time to sell. When building new construction, having a realtor walk side-by-side with you during the process is important because you need someone experienced and knowledgeable about the details of the builder’s contract. You could be missing out on available incentives, or you might not know real estate contract jargon well enough to notice errors or omissions. Click HERE for more reasons you need a buyer’s agent. We’ve helped more buyers in Del Webb’s Frisco Lakes community than any realtor in the area, and have an excellent working relationship with their organization. Contact us at 972-588-8905 to learn how we can help you get the best result when you buy new construction. If you have a home you’d like to sell, contact us to find out what your home is worth. The free assessment is our way of making your real estate journey as smooth as possible. Click HERE for yours!